Over the past several weeks, developers who have built applications for the Windows 8 platform have vocally complained that ad-fill rates in their apps have dropped precipitously. This is no small issue: if advertising revenue via Microsoft’s pubCenter network is scarcer than water in the southwestern United States, it will materially harm developers building for the platform. This isn’t mere bad press for Windows 8, but instead a rough situation that could undermine one of the few mostly-positive narratives that the software has enjoyed: decent developer interest; despite weak sales, developers have created more than 65,000 applications for Windows 8. However, part of the promise that brought them to the platform may be flat: reach. 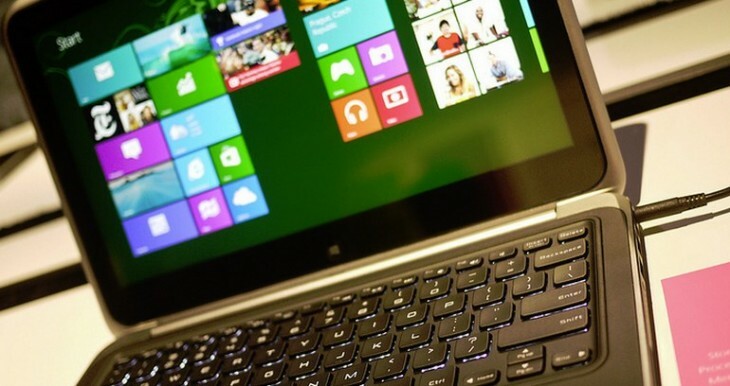 Windows 8 had a simple sales pitch, in that it will soon be running on more than 100 million machines. Scale. But if that scale isn’t monetizable, what is its value? Core to this issue is the Microsoft-owned pubCenter ad network. It is the key ad network aboard many Windows 8 applications. TNW was unable to confirm whether it is the only ad network supported inside of the Windows Store, as Microsoft declined to answer our question on the issue. However, we can rest sure that the pubCenter ad network is key to Windows 8 developers. If the stream of incoming ad dollars to pubCenter dries, so too does the Windows Store. The best way to explain the situation is to listen to the folks on the ground. I’ve picked a few representative stories from the Microsoft developer forums to explain what is going on. Each source link heads to the specific developers profile. All bolding and formatting is via TNW [Original misspellings and grammatical failures have been preserved]. Ok; I’m going to chime in on the no-ads problem. We have a popular app on the app store… it’s ad-supported, and its in the news/weather category… and its iOS counterpart has been hailed as one of the most profitable apps on the iTunes App Store with regard to its ad revenue. We have seen some promising success in our Windows 8 version of our app… but we are not receiving any ads. We have not been receiving ads for quite some time now. I think it’s fair to say that we’re a fairly larger-then-average player in the ad-selling space… so I’m looking for a serious, legitimate answer as to what’s going on from someone at Microsoft. I really would have an explanation to this matter. It’s already 18 days without ads and without a single explanation from Microsoft. I am really dissapointed in the way Microsoft communicates with its developers. Just tell us the main reason there aren’t ads. In case their are no companies willing to pay for ads on Windows 8, just tell us, at least we’ll know the reason. I published a new game 4 days ago, and so far it has generated 0.01 EUR, even it already has a lot of downloads. If a new developer is in this situation, i’m pretty sure he’ll quit developing for Windows, and turn to another OS. And telling us that we should make paid apps, or free apps with in-app purchase options, I’m sorry, that’s not a solution I want to hear. I too have been staying out of this ad discussion, hoping it would simply work itself out over time. Coming from the Windows Phone platform with my games, I am used to seeing swings in eCPM. This complete lack of ads, however, is getting to be a bit much. I have a popular RPG in the store now, which was published about 2 months ago. It’s in the top 100 games and it’s been featured in the Surface Picks. It has a decent amount of players. Coming from the Windows Phone platform, I had planned to publish a free version with ads and a paid version without. Needless to say, the free version has made next to nothing, topping out at a couple bucks each day on the best days. Meanwhile the same free game on the phone generates enough revenue live on. It’s a stark contrast, and very disappointing. I’m in the same boat. This one of my best months in term of usage, however I’m averaging around $0.02. a day. Which seems to be ahead of everyone else. This is pathetic. I’ve been defending windows 8 since the day it came out. I would think that microsoft would want to build up the ecosystem by at least PAYING their developers. It looks like I may have backed the wrong horse. When I said those are representative tales, I almost lied; instead, those are simply excerpts from the first four entries in order from the thread. Microsoft is being coy on the issue, which irks as its reticence to provide detail is bad not only for the developers in question – they deserve answers – but to itself as a company. By not being open and honest Microsoft is harming its developer relationships, ceding part of the high ground that it has used to help launch numerous platforms in recent years. Microsoft is committed to building strong monetization options for all Windows 8 developers and that includes delivering a vibrant ad-supported app ecosystem. We have seen tremendous response to the launch of the App Network on Windows 8 both from advertisers and developers. As you know advertising is a seasonal business and its normal that there will be peaks and valleys. During the month of April, there were reports of low fill rates from some developers, this was within the expected norm of campaigns ending and new campaigns ramping. Ads continued to be served in the month of April. That said, we are constantly making improvements for developers using our Advertising Platform and are always looking at ways to ensure that we can smooth out the natural peak & valleys associated with the advertising business. We welcome the feedback and thank our developers for being patient. Also, to protect the user experience when no ad is served, we recommend implementing the solutions referenced in this blog on ad control error handling: link. You’ll of course note that the key section of the above is this: “As you know advertising is a seasonal business and its normal that there will be peaks and valleys. During the month of April, there were reports of low fill rates from some developers, this was within the expected norm of campaigns ending and new campaigns ramping.” In short, things were rough, we know, but will improve in the future, we promise. Yet the company has failed to be open with those it brought to the platform with the promise of a functional ad network and a large audience to derive revenue from. This brings us to Bing. Guys, I don’t think this is rocket science. When Windows 8 was released Microsoft was obviously pushing Bing ads and that was covering the fill rate, although at quite a low ECPM. Now it seems Microsoft is no longer selling Bing ads and therefore we are left with the ads from other companies. Apparently this is low, at least on some ad banner sizes. TNW requested information on the Bing ad buy. Microsoft did not respond by the time of publishing. Taken all together, it appears that the ability for developers to monetize free applications on the Windows 8 platform through applications distributed through the Windows Store is currently exceptionally curtailed. It also appears, though we don’t have a lock on this, that much of former ad-spend was Bing-related, with Microsoft essentially buying up chunks of inventory. When that stopped, fill rates plummeted. Developers are now feeling the pain. This is not to say that Microsoft should prop up the Windows Store with Bing cash. However, we find ourselves in a situation in which Microsoft refuses to provide transparency to affected parties. The company appears content to ride this out. Empty developers accounts in this situation, however, speak the loudest.